EXCELEBRATION (IRE) (Bay 2008-Stud 2013). 8 wins-2 at 2, Ascot Queen Elizabeth II S., Gr.1. Half-brother to SW Lancaster Bomber. Sire of 276 rnrs, 156 wnrs, inc. SW Barney Roy (Royal Ascot St James's Palace S., Gr.1), Speak in Colours, Rebel Assault, Saint Patricks Day, Tilly's Chilli, SP Exceltic, Hey Jonesy, The Conqueror, Fulminato, Pellucid, Siberian Iris, Inverleigh, Strike Celebration, Istan, Lincoln, Liwanu - Cheerful Star (H.K. ), etc. PUNCHER CLYNCH - NOBLE BOY (H.K.) (g. by Azamour). 6 wins-2 at 2-from 1600m to 2150m, €80,701, HK$2,123,000, Leopardstown Ballysax S., Gr.3, HKJC Turkey H., Yee Wo Street H., 2d HKJC Causeway H., Suffolk H., 3d HKJC Queen's Road Central H., Shan Pui River H.
Jellicle Ball (f. by Invincible Spirit). Winner at 2, 2d Newbury Fred Darling S., Gr.3, 3d Goodwood Height of Fashion S., L, 4th Royal Ascot Sandringham H., L, Sandown Distaff S., L.
Aquilla (f. by Teofilo). Winner at 1½m in GB, 3d Toulouse Prix Panacee, L.
Improvisation (g. by Teofilo). 3 wins from 1¼m to 16½f, Newmarket Montaz Restaurant S., 2d Newmarket Weatherbys 2YO S., 3d Goodwood Nat West Ahead 2YO S.
Calibration (c. by Excelebration). 2 wins. See below. Ebtihaal (c. by Teofilo). 2 wins at 2, Doncaster Moran Nursery H.
Dawn Trouper (g. by Dawn Approach). 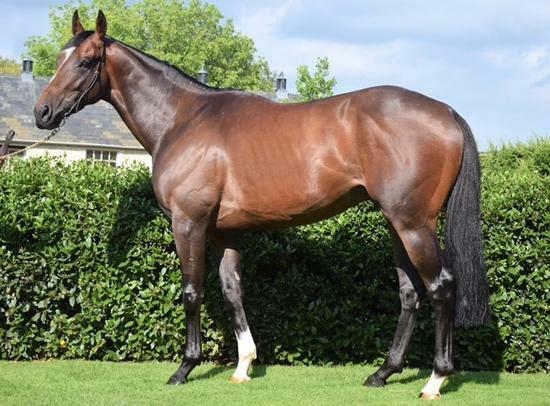 Winner at 1½m in 2018, 2d Leopardstown Golf Centre S., 3d Curragh Irish Stallion Farms S.
ISOLE CANARIE (Rip Van Winkle). 3 wins-1 at 2-at 1500m, 1600m to 2018, Rome Premio Repubbliche Marinare, L, Premio Buontalenta, L, Premio Orsa Maggiore, 2d Rome Premio Flossy, Premio Nicastro, 3d Rome Premio Duccia di Buoninsegna, 4th Milan Premio Dormello, Gr.3. Isole Eolie. 5 wins-1 at 2-from 1200m to 1600m to 2018, Rome Premio Ben Marshall, Premio Doney, Premio Niccolo dell'Arca, Premio Zambesi, Premio Canova, 2d Rome Premio Creso, Premio Stufida, Premio Maria Stuarda, Premio Alan Ford, Premio Ornello, Premio Ma Biche, Premio Raimonda da Capua, Premio Motivator, 3d Rome Premio Hula Dancer, Premio Timboroa, Premio Rossellina, Premio Luigi Giovanale, Premio Tupac. Laoch Na Mi - Indigenous Union (H.K.). 3 wins from 2000m to 2100m to 2018-19, Leopardstown Bulmers Live S., Wanganui JC Take it Easy Tours H., 2d Curragh Irish Independent S., 3d HKJC Sporting Exchange H.
Isole Maldive. 2 wins at 2 in 2018, Rome Premio Timboroa. SELF DEFENSE (Warning). 7 wins from 1900m to 3300m, £228,121, €15,150, 365,720fr., Maisons-Laffitte Prix Vulcain, L, Sandown Agfa Hurdle, Cheltenham Sharp Novice Hurdle, Longchamp Prix des Centaures, Maisons-Laffitte Prix Rieur, 2d Ascot Cumberland Lodge S., Gr.3-twice, Newbury St Simon S., Gr.3, Saint-Cloud Prix du Lion d'Angers, L, Prix Denisy, L, Sandown Christmas Hurdle, Ladbroke H. Hurdle, Winter Novice Hurdle, 3d Newbury Geoffrey Freer S., Gr.2, St Simon S., Gr.3, Kempton September S., Gr.3, Chantilly Prix de la Porte de Madrid, L, Sandown Winter Novice Hurdle, Wincanton Tolworth Novice Hurdle, 4th Newmarket Jockey Club S., Gr.2, Newbury Geoffrey Freer S., Gr.3, Chantilly Prix La Moskowa, L, Lingfield Churchill S., L, La Teste Grand Prix du Sud-Ouest, L.
DEGAS ART (Danehill Dancer). 11 wins from 1½m to 24¼f, £130,198, Newmarket Godolphin S., L, Wetherby Wensleydale Juvenile Hurdle, 2d Newmarket Fairway S., L, 3d Newmarket Bahrain Trophy, L, Aintree Anniversary 4YO Novice Hurdle, 4th Royal Ascot King Edward VII S., Gr.2. SEA OF HEARTBREAK (Rock of Gibraltar). 6 wins-1 at 2-from 1450m to 2500m, Longchamp Prix de Royallieu, Gr.2, Newbury Chalice S., L, Tadley Tigers H., 2d Newmarket Dahlia S., Gr.3, Warwickshire Oaks, L, 3d Newbury Arc Trial S., Gr.3, 4th Goodwood Nassau S., Gr.1, Newmarket Severals S., L, Godolphin S., L, Goodwood Festival S., L. Producer. PERSEFONA (Montjeu). 2 wins at 2200m in Germany, Hannover Grosser Preis der AWD Holding AG, L, 4th Premio Terme di Merano, L. Producer. Race Record: 14 Starts 2-4-5 £10,754, A$58,900. 2 wins at 2000m, 2050m to 2018-19, MVRC MLA Holdings H., 2d SAJC Holdfast Insurance H., 3d Ascot Crocker Bulteel 2YO S., MRC Big Screen Company H., Mitavite Summer Challenge H.